Where to Eat in Dalat? | Hello Saigon! ← Are you ready for TET? Out of the seven, our group visited only two. Chocolate was the first restaurant our group tried. They serve Vietnamese and Western dishes. I wasn’t able to go to the restaurant physically because my son was sick but hubby brought me a good meal. Plus, we also dined on their pizzas for Christmas Eve. BUT since it was darn cold in Dalat, the pizza got cold pretty quickly and it didn’t taste all that well. The collective feedback from the group? Delicious food BUT bad customer service — their orders took a long time to get to the table. However, it was Christmas Eve and the place was full. Speaking of “full”, it’s best to call for reservations at Chocolate. Why Not Cafe is near the market and is flanked with hostels. We ate there at lunch but it’s more of a hangout with a bar and billiards. The food was awesome though. Again, this restaurant serve both Vietnamese and Western dishes. 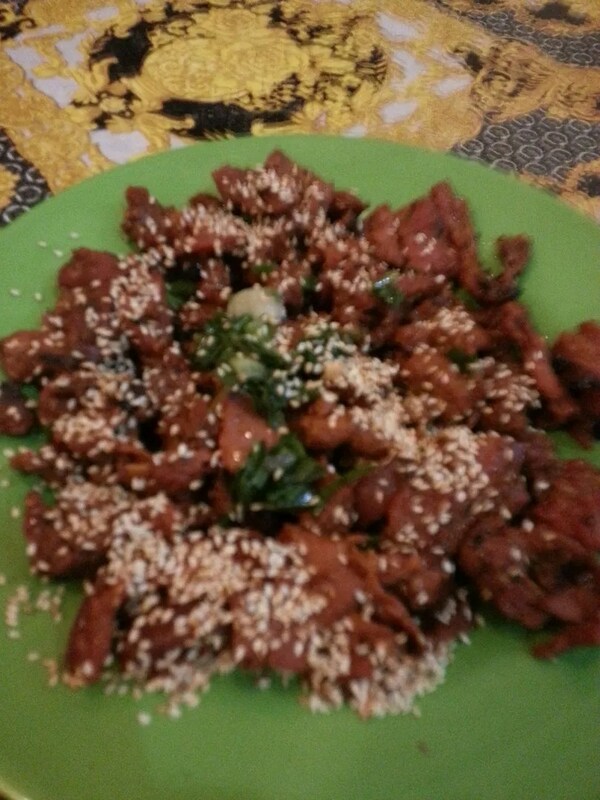 I was very happy with my pork in a claypot. They serve terrific burgers and sandwiches here too. 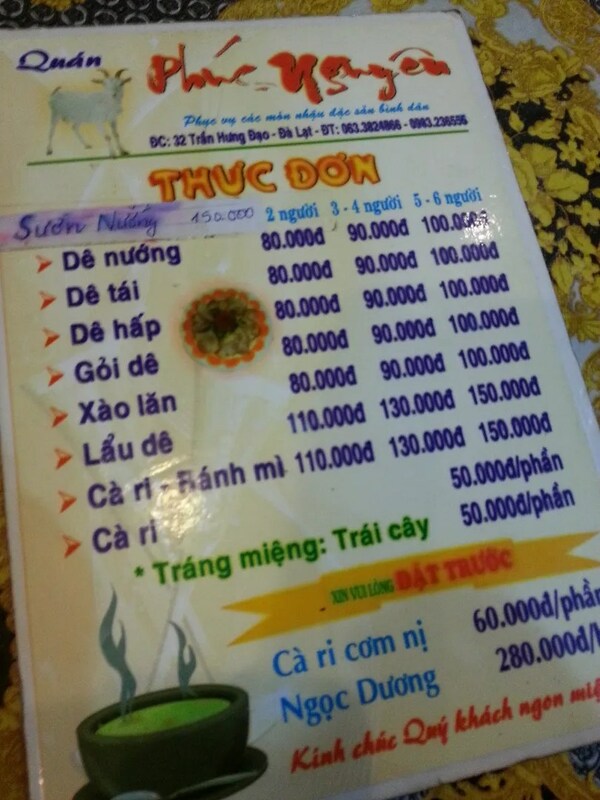 Not on the list is Phuc Nguyen which is quite far from the city center. But no matter because you’ll be enthralled by the beautiful architecture of country homes as you drive to the place. Really something you should see. Inspiring! We almost missed Phuc Nguyen because it’s quite hidden at the side of a roundabout. And it’s not a proper restaurant but a home-turned-eatery. Basically, this eatery serves goat. 😀 And it was quite a problem ordering because the menu was all in Vietnamese. We took out our phones and tried Google Translate but without the proper accent marks, our effort was futile. Good thing our Vietnamese driver stepped up and ordered for us! My brother who’s visiting had to learn how to “wrap” food lest he goes hungry. They also served a goat curry recipe which was delicious! And despite the cold, we had to make a stop at Kem Ice Cream just across Why Not Cafe. What to try? Everything. Our group ordered different flavors and all gave the ice creams 5 stars. 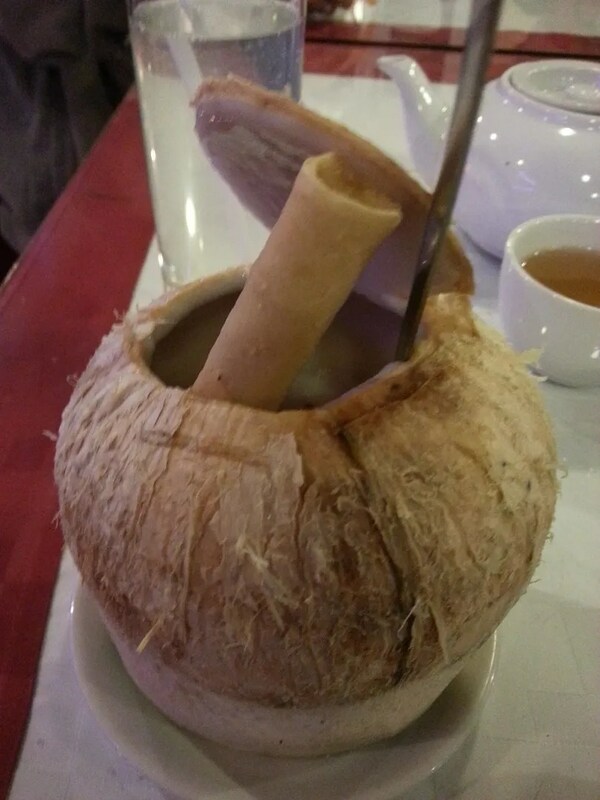 I ordered the coconut ice cream served aptly in a coconut. What’s cool about eating ice cream in Dalat? They don’t melt! 😛 And you really should try this because Dalat is known for their real delicious milk. And the hot chocolate was pretty awesome too! 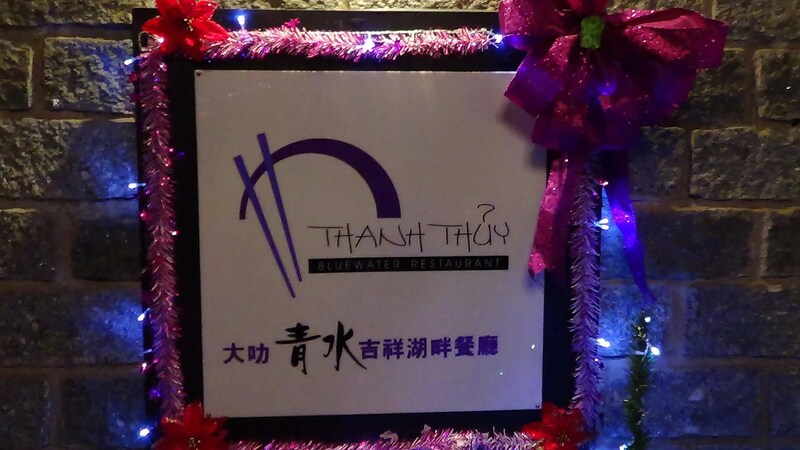 For our last dinner in Dalat, we headed to Bluewater Restaurant right beside the Xuan Huong Lake. 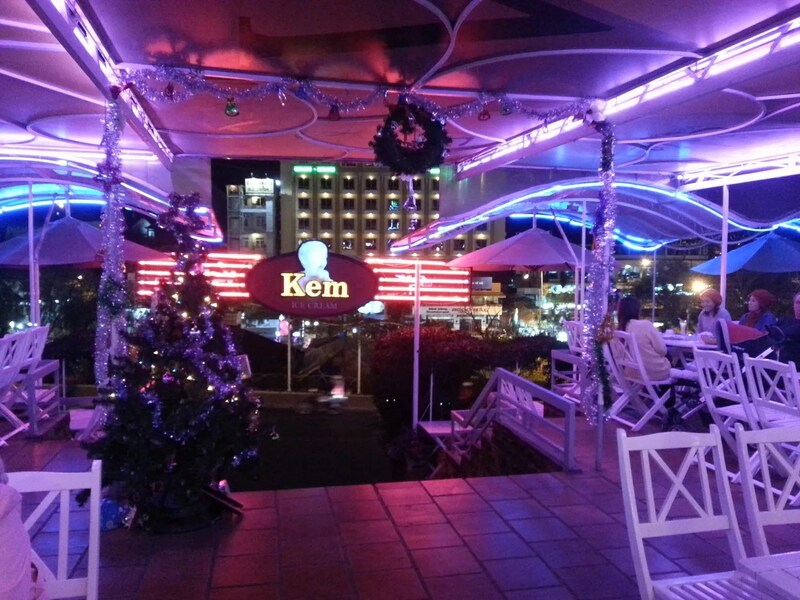 The place was all lit up for Christmas and was shimmering against the dark water. Lovely ambiance! The priciest of all the places we ate by the way. But the food? We didn’t get to order a lot but we tried two hotpots and duck for our huge group which was just right to fight our shivers. Oh and their hot chocolate? DELISH!!! 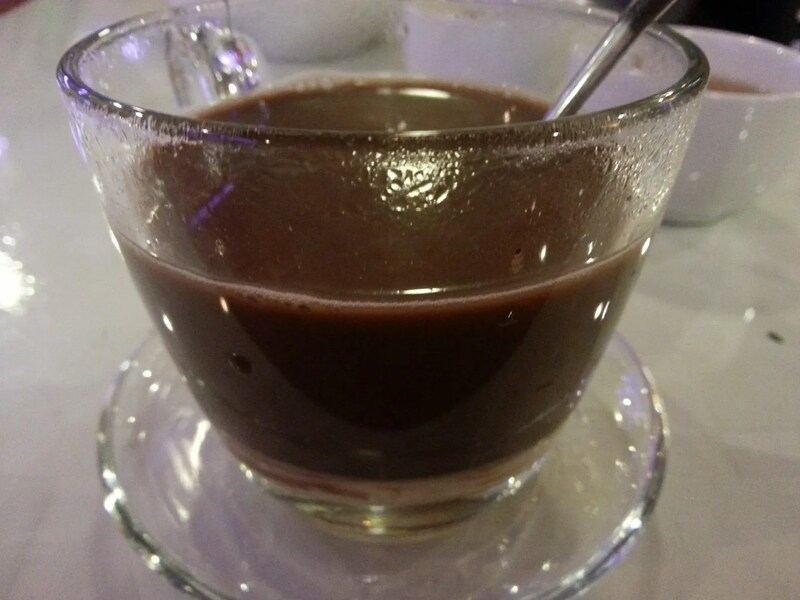 This entry was posted in Beyond Saigon, Gastronomic Delights and tagged Bluewater Restaurant, Chocolate, Dalat, Kem, Phuc Nguyen, Vietnam, Why Not Cafe. Bookmark the permalink. 1 Response to Where to Eat in Dalat? 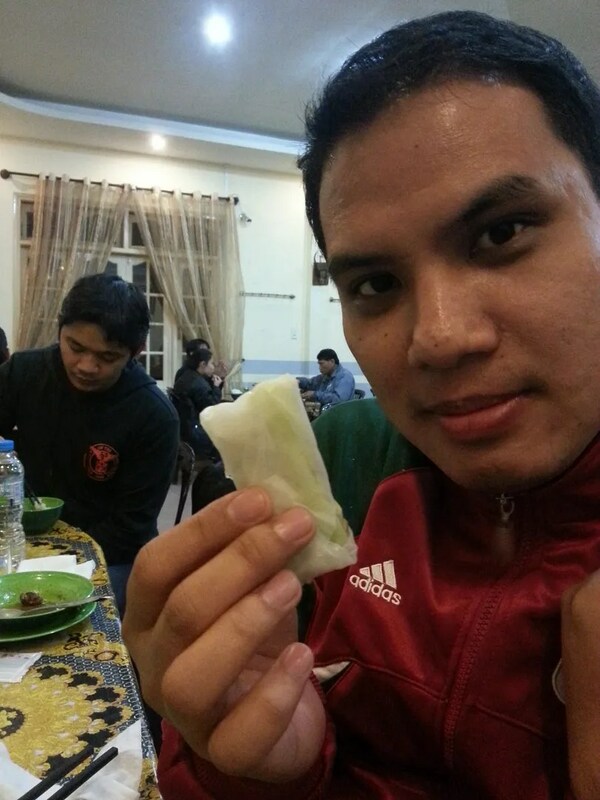 Pingback: Tales From Dalat (4) – 100 Roofs Cafe | Hello Saigon!